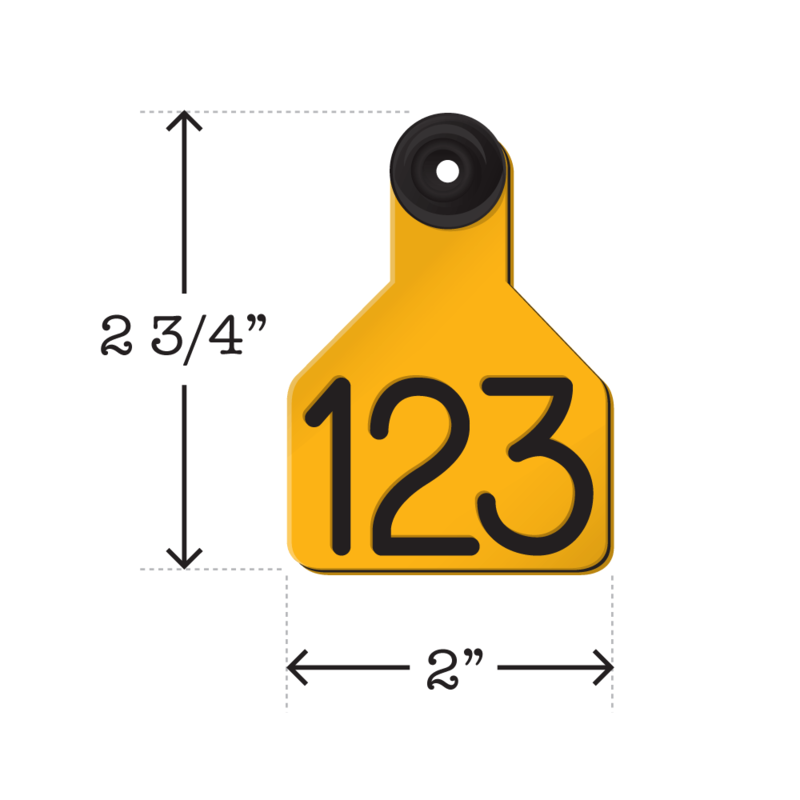 Product Description: The Ritchey Universal Small Tag is designed for calves, but can be used on other small livestock and has many other uses, like custom key chains. 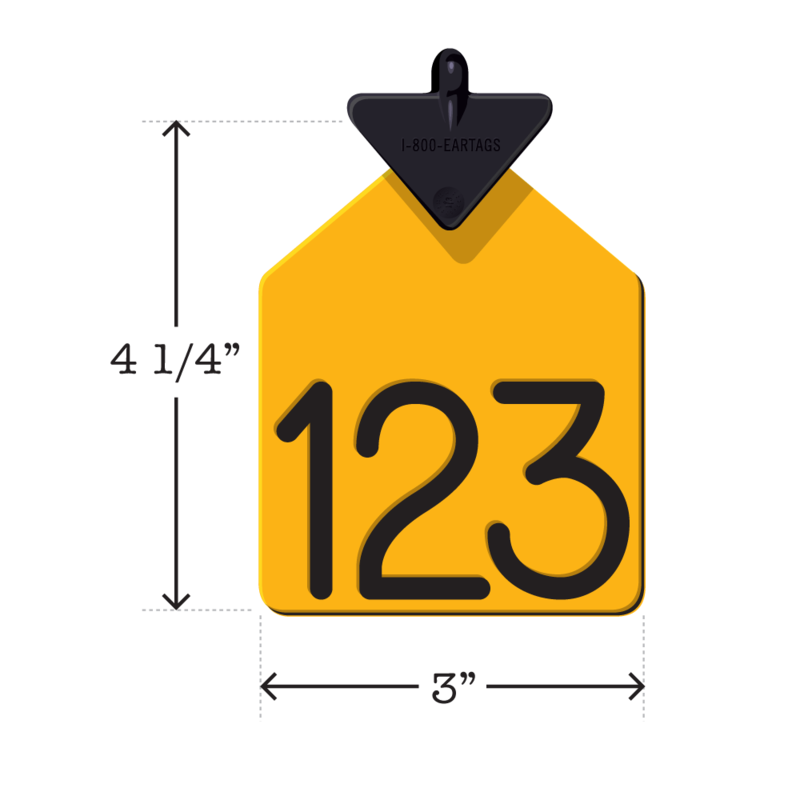 Tags can be customized with letters and numbers. 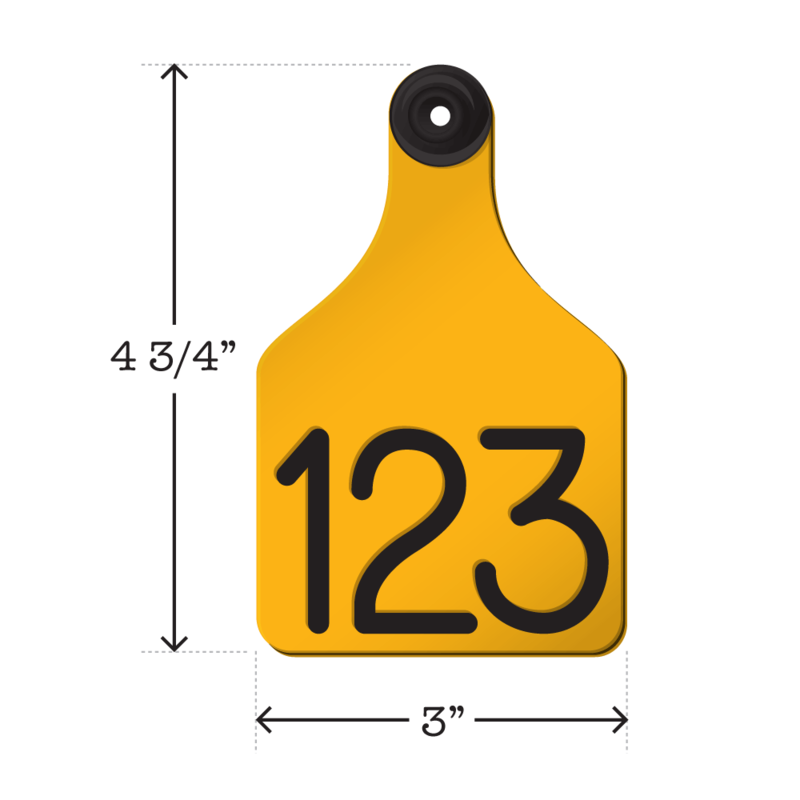 Product Dimensions – Height: 2 3/4″, Width: 2″. 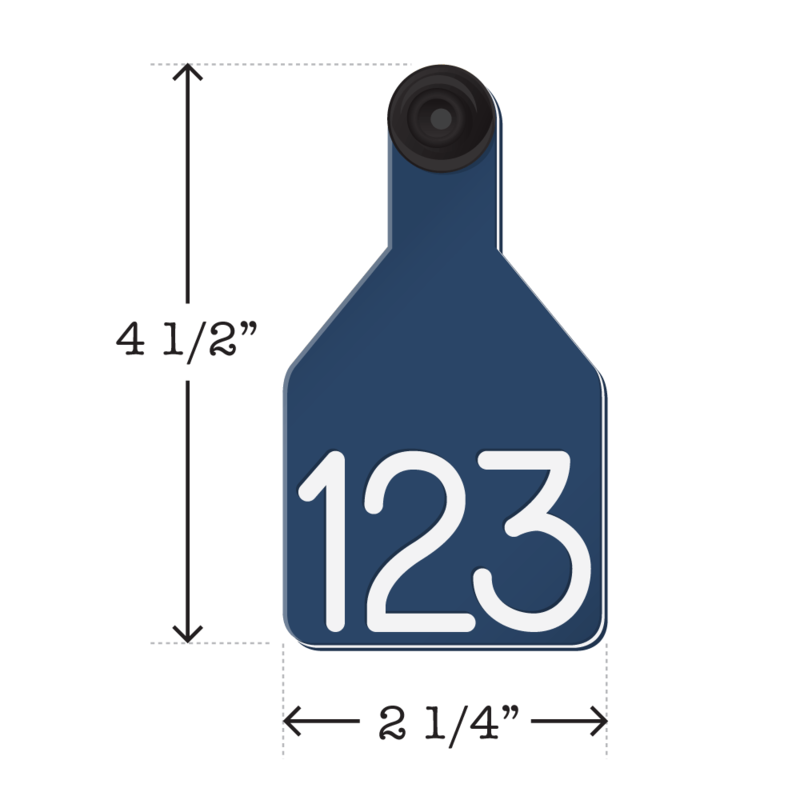 If you would like your name, ranch name, phone number or logo custom engraved, please call 1-800-EAR-TAGS (1-800-327-8247) Monday – Friday 8am-5pm Mountain Time. 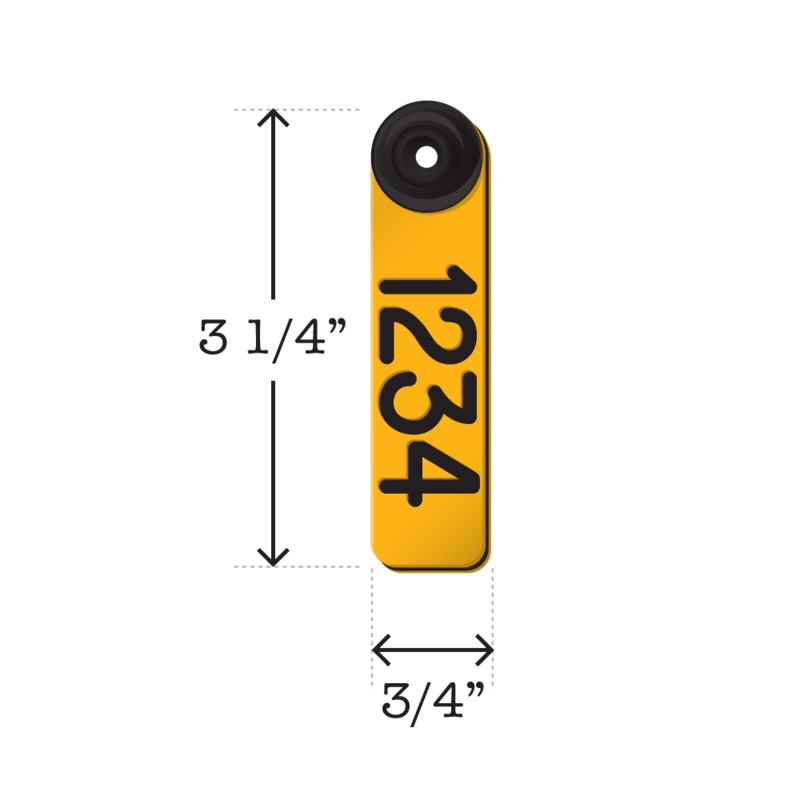 You’re able to use this tag with most major button systems. 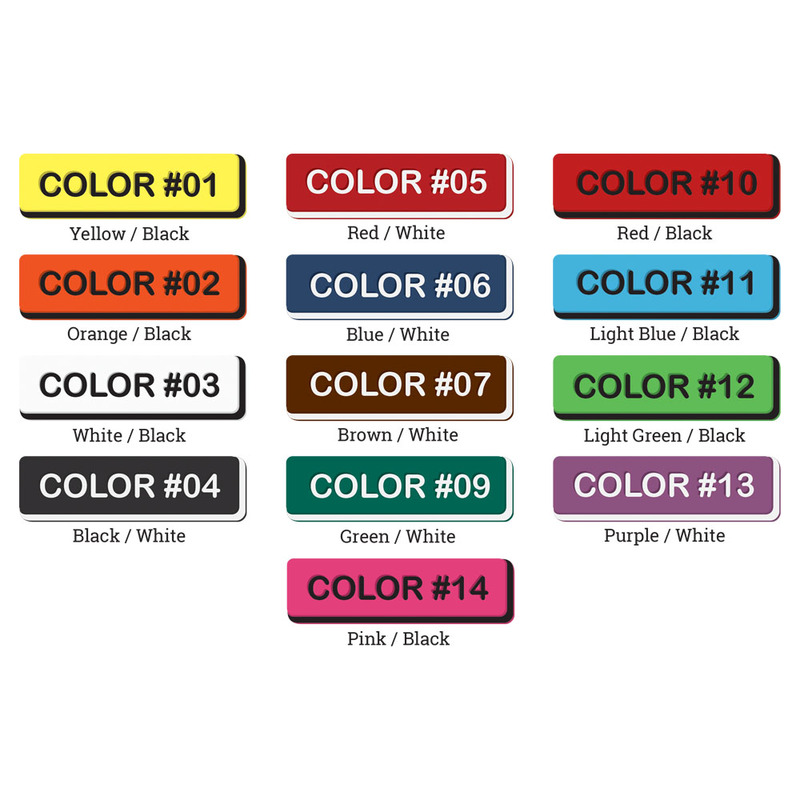 The button color will match the color of the tag. 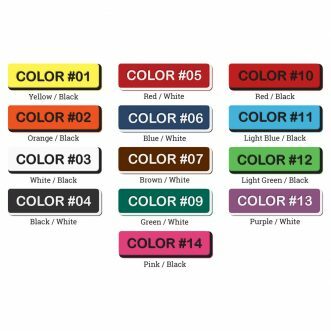 If you wish to have a different color of button, please select 'No' here and add the buttons to your cart separately after you add your tag order to your cart. To view templates with their code, please Click here. Then select the corresponding Template Code below. 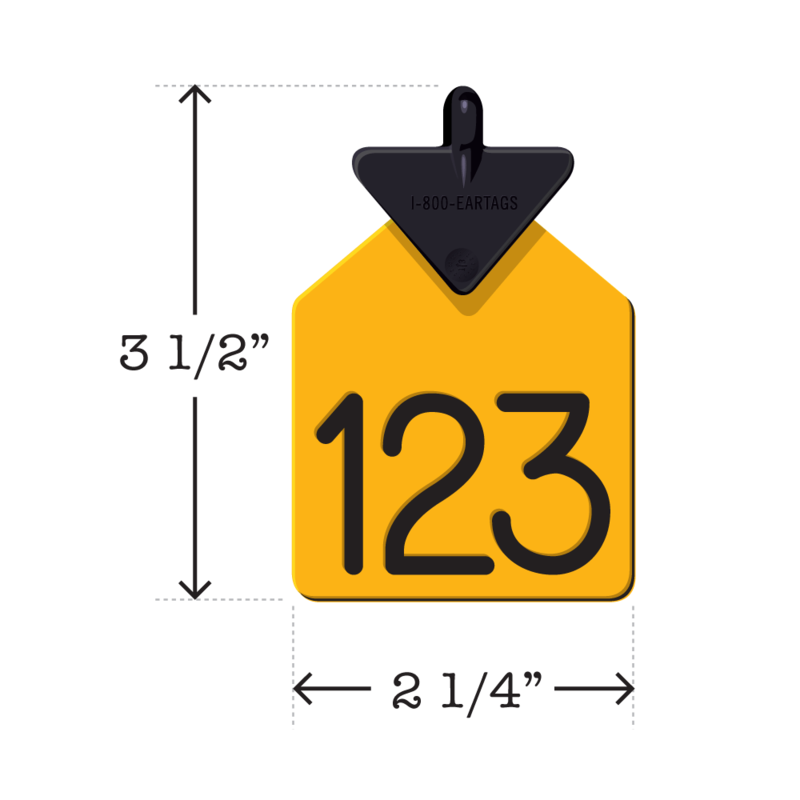 Quantity of non-sequential tags being ordered. 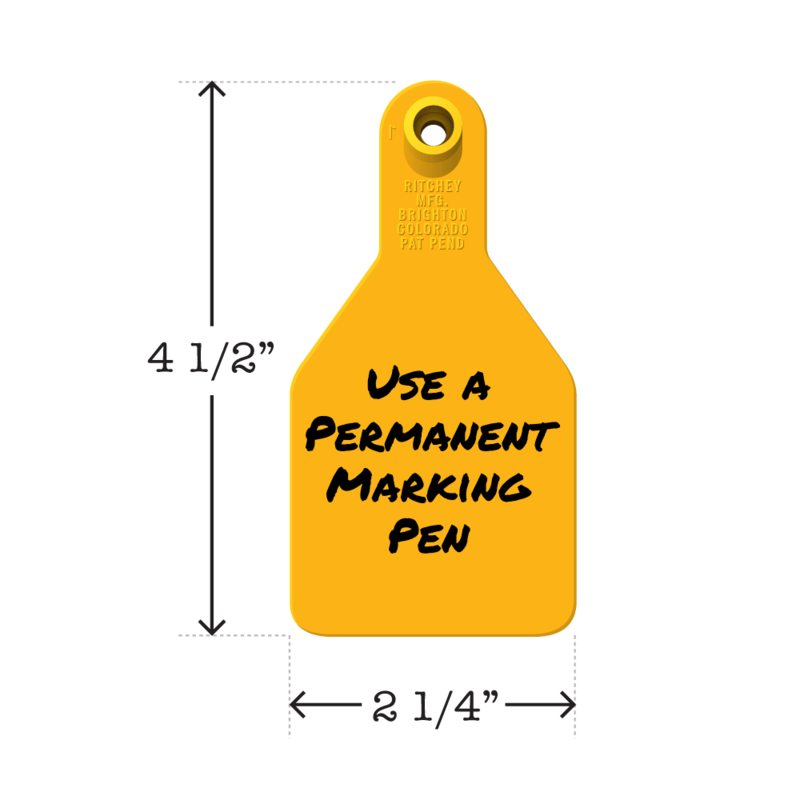 Enter the Prefix or starting portion of the tag that will be repeated on all tags. Enter the first number in the tag sequence. Enter the last number in the tag sequence. 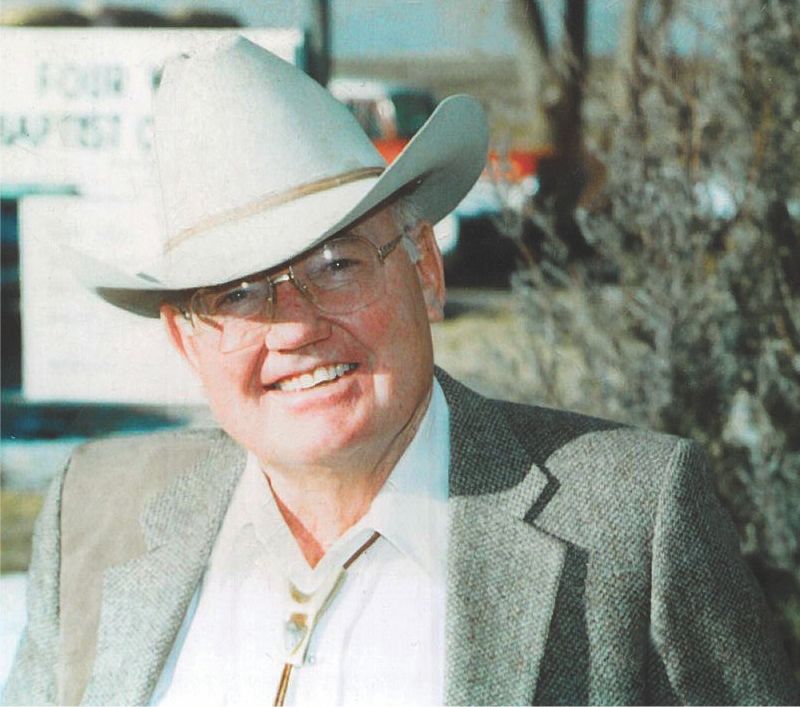 *When ordering more than 5 non-sequential management numbers, Ritchey requires you to fill out the Ritchey Custom Numbering Form Excel Spreadsheet. Download the spreadsheet here, fill it out, and upload it with your order. Upload your Non-Sequential Management Numbers here. *To upload a file, select "Non- Sequential Numbers - Greater than 5" for both Front and Back side Management Number Type. Upload your Front & Back Side Non-Sequential Management Numbers here.